What types of payment does Net Pay Advance accept? As a payday loan company, Net Pay Advance has a certain methodology we like to follow to make the loaning process flow effortlessly from start to finish. From application to funding to repayment, we do the most we can to ensure that all our customers are properly taken care of. Making a payment on your loan doesn’t need to be difficult or stressful, as handling payments and finances can sometimes be. That’s why we accept as many methods of payment as we can. But what exactly do we accept? Here are the answers. Net Pay Advance is in the business of providing our service to and helping as many people as we possibly can. We accept nearly all types of payment, with very few exceptions. This is because we keep our customers in mind for all aspects of the loaning process, especially repayment. 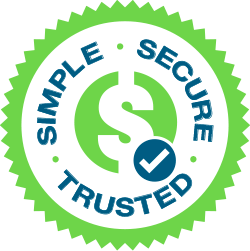 Our goal is to make it as simple and easy for you to make your payment in your preferred method of paying – stress free! We accept most kinds of prepaid cards. However, we DO NOT accept American Express or OneVanilla prepaid cards. We also can’t use gift cards. We highly recommend keeping an up-to-date card on file at all times. This is the fastest way to make a payment, and right after using a card to pay off your loan you’re immediately eligible to reapply to loan again. Another thing that you must keep updated is your bank account information. If you don’t have a card or if your card is cancelled or expires, this is how we’ll process your repayment. By using an ACH, we take your payment directly from your account. The process takes four business days for every ACH, after which you can reapply. On your due date, we automatically run your preferred payment method to collect your balance due. This typically occurs around 8:30 AM. If no payment is received due to any number of issues, an ACH will be sent out at 5 PM PT. Always remember to check that your payment was received on your due date to avoid extended waiting periods from an ACH, unless ACH is your method of payment. You can call our customer service line at 888-942-3320 or go online to your account at www.netpayadvance.com to make your payment. You can do this anytime, but you must wait at least 5 days after you receive the loan to make the repayment. You can also email us at customerservice@netpayadvance.com or text us at 844-505-3539 to receive help with your payment.